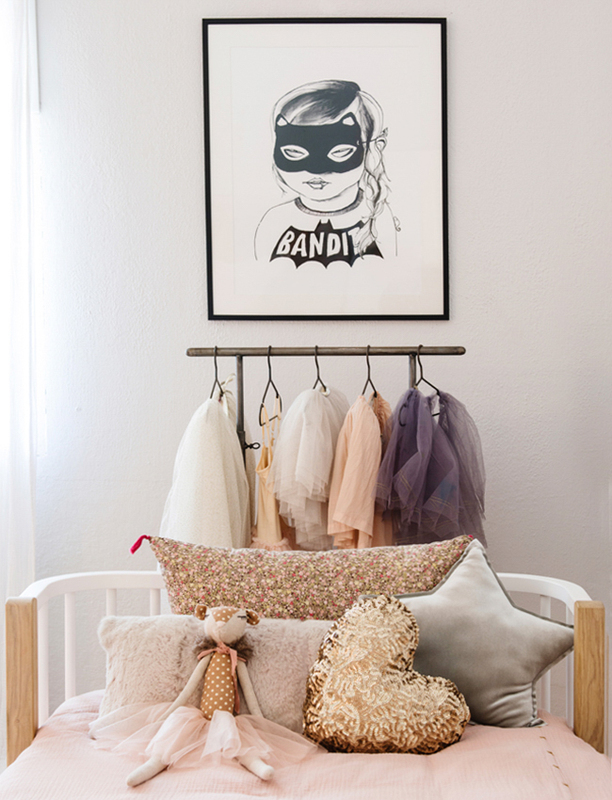 Have you ever wondered how the owners of Cuckoo Little Lifestyle, Emily and Francesca, might style their own kids rooms? I’ve wondered for a while (occupational habit!) and last week I had the chance to visit their homes to see for myself. The Cuckoo Little Lifestyle shop is so beautiful I wondered if their kids were living in the same kind of cool whimsical wonderland… and the short answer is, um yes. You will find inspiration galore in part 1 of this Cuckoo Little Lifestyle home tour which focuses on Emily’s home (later this week I will be giving you a glimpse into the equally stunning home of Francesca too). The story of Cuckoo Little Lifestyle is a well-told tale here in Singapore. It starts with two mothers meeting through friends at a baby group – new to Singapore and new to motherhood – and struggling to find beautiful home decor for their nurseries. Like so many other entrepreneurial women, Emily and Francesca decided that they would solve the issue by bringing beautifully designed kids furniture, decor and toys into Singapore themselves and Cuckoo Little Lifestyle was born. And thank goodness it was because Pippa and Finn’s room have benefited greatly from their decision! And now, Cuckoo Little Lifestyle are adding another fantastic offering to the Singapore market – a bespoke styling service offered by Emily. If her kids rooms are anything to go by then this is going to be a styling service in great demand. Whether you are looking for something bright and fun, trendy and cool or soft and whimsical, Emily has a knack of layering and combining texture and colour that would satisfy any brief. 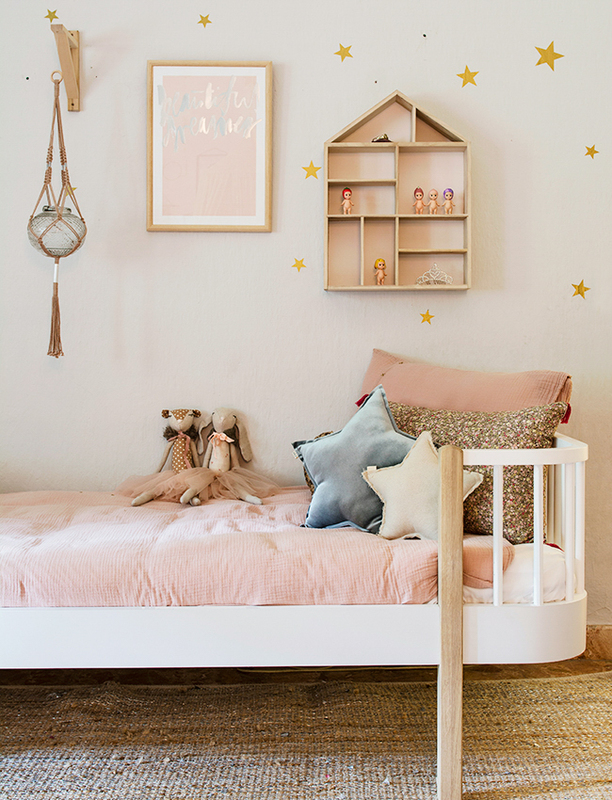 Soft, pretty and whimsical…this is surely many a young girls dream bedroom. Emily has used a muted and soft colour palette to create a wonderful calming atmosphere. I love the twinkly lights surrounding the teepee and the vintage cabinet holding glittery treasures. I also love an open clothes rail for displaying pretty tutus which will stay in good condition – and be worn. Layering rugs is a great way to cover a larger floor space with the softest of rugs used in the area where little ones like to sit and play. A super cool space for hanging out. I love the Rose in April ‘babou’ shelving and star decals surrounding the desk. Large toy baskets keep action figurines tidy and a fabulous Byron Bay hanging chair is situated close to an open facing bookshelf – providing the perfect place to hang out and read. The colour palette of black and white with a mix of blue/grey keeps things simple and stylish and feels just grown up enough to last well into the teen years. If I were a child this would be my idea of a dream playroom. The layered cosy corner with oodles of cushions in contrasting textures and pattern coupled with the open bookshelves encourage quiet reading time and the table and chairs provide somewhere for art and craft to happen with abandon. I totally love the criss crossing bunting and the patterned floor rug (which is a great option for a playroom that may end up with some spills and accidents). Cuckoo Little Lifestyle is now offering their kids room styling service. If you are interested to find out more, you can contact Emily and Francesca through their website. Right, I’m off now to assess how much Ikea I need to get rid of and hang some bunting.